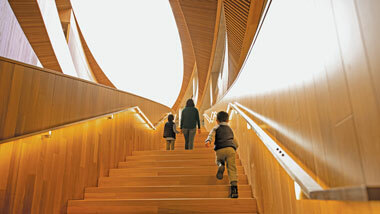 The Calgary Public Library is unparalleled in its ability to open the doors to opportunity. Calgary Public Library, the second largest library system in Canada, has been inspiring the life stories of Calgarians for more than 100 years. It has an impact on the city’s economic and social well-being, helps to change lives, opens the doors to opportunity through literacy and knowledge, and brings people together to build community. New Central Library, the greatest civic project in Calgary since the 1988 Olympics, is currently under construction. The awe-inspiring 240,000 sq. ft. New Central Library opens in late 2018. At Calgary Public Library, we are building not only a great new Central library, but also a great new Library system. Just as New Central Library will be a cornerstone of downtown Calgary’s redevelopment, Calgary Public Library will play a key role in community building for Calgary’s growing neighbourhoods. Every library in the Calgary Public Library system will be of the same calibre as New Central Library. In some cases, this will mean planning and building new facilities; in others, significant makeovers. The facilities will have a distinct look and feel, ensuring a consistent member experience across the system. The Calgary Public Library is more than just a system of buildings: it is a concept that permeates all aspects of community life. We will spend more time in the community, meeting people where they are. We will bring content and access to information to people, organizations, and businesses. We won’t wait for people to come to the Library—we will take the Library to the community, where and when the community needs us most. Calgary Public Library is creating the best public library in the world. Add In - Campaign for Calgary’s Library, will fulfil that vision. The $350 million campaign is a bold and transformational initiative to invest in the potential of all Calgarians and the future of our city. 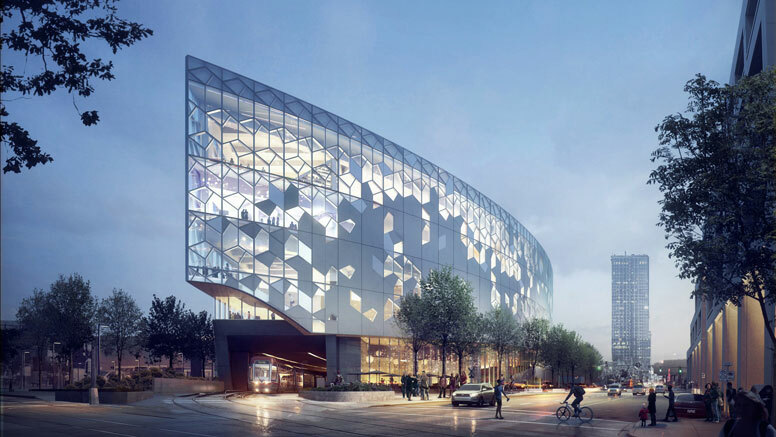 The catalyst for Add In is New Central Library, a distinctive place that will reflect Calgary’s aspirations as a global city, inspire discovery, promote learning, and foster community interaction. Add In will secure the financial investment necessary to transform Calgary Public Library into the best public library system in the world and create an enduring legacy for generations of Calgarians. 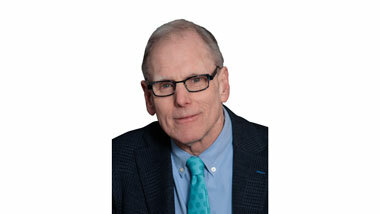 "At Calgary Public Library, we are creating the best public library in the world. To achieve that vision, everyone at Calgary Public Library is striving to do better for and with the community. We are reshaping our spaces and our services to best serve our communities, at New Central Library, and all our libraries. We recognize the valuable role Designing Libraries plays globally in promoting and sharing best practice in transforming libraries and library spaces, and we are pleased to support its work as a sponsoring partner."